.... and it's not magnification. Do you struggle with reading books, newspapers or magazines? Does the effort become tiresome because it takes so long to just read a paragraph? 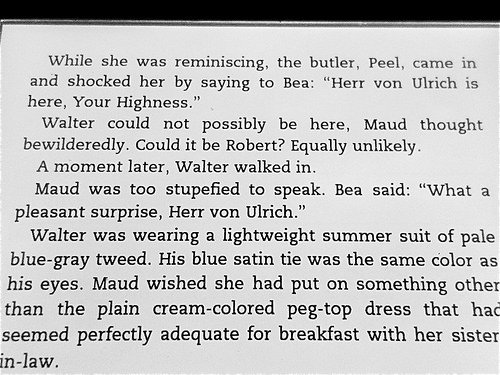 Perhaps you're thinking that I'm going to suggest using stronger magnification or to read books with larger fonts. Indeed that can be helpful - but a recent study published in November 2013 in PLOS One, finds that there is another way to make reading easier. Reading speed and accuracy was tested in macular degeneration patients by evaluating line spacing and word spacing. Double line and double word spacing with high contrast text led to the fewest mistakes and the highest speed. 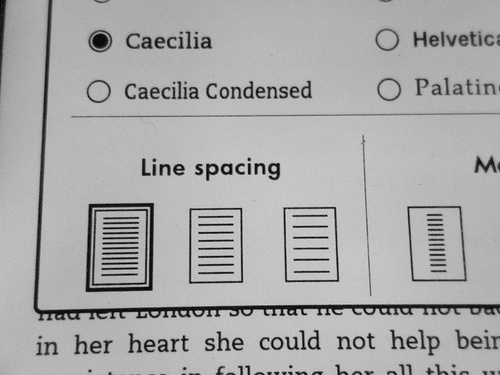 Here is an example of single line spacing on a Kindle Paperwhite. 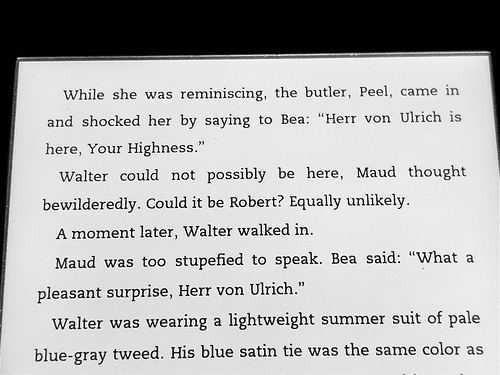 The second picture is the same page using double line spacing. The font is the same size in both pictures. The contrast setting is at the highest in both pictures as well. By providing more space and less crowding you may find reading more enjoyable with less strain on your eyes.